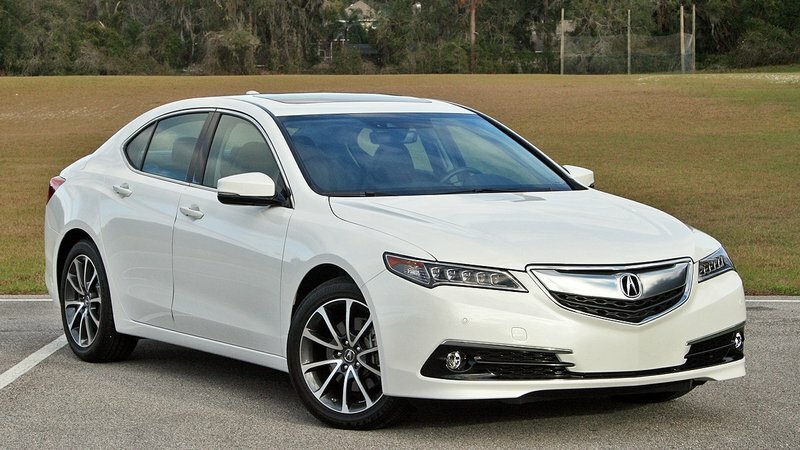 The Acura TLX hit showrooms for the 2015 model year as a replacement for the TL and TSX sedans. After just a couple of years on the market, Acura commissioned a facelifted for 2018 that will keep the first generation alive until at least 2021. The big news here is that the TLX is getting a new pentagonal grille that not only replaces the beak found on most Acura vehicles but is also similar to the grille found on the Precision concept and the updated MDX crossover. That new grille will be accented by new headlight units and a new fascia. Inside, the 2018 TLX changes very little with this facelift but does have Acura’s updated dual-screen interface that’s said to be 30-percent faster and has more intuitive menus. Drivetrain options carry over unchanged, with the base model making use of a 206-horsepower four-cylinder and the TLX V6 getting the same 290-horsepower V-6 mill. Pricing for the updated TLX starts out at $33,000 and climbs to as much as $45,750 for the range-topping TLX 3.5 SH-AWD with the Advance Package. So, as you can see, the term “facelift” is perfect for this model as the updates are focused primarily on the exterior design. And, while there isn’t any major improvement to the interior and absolutely zero improvements to the mechanical bits and pieces under the hood, it’s still a fitting update after just a few short years on the market. With competition like the Infiniti Q50, Cadillac ATS, BMW 3 Series, and the Mercedes C-Class, the Acura TLX has its work cut out. Will the new looks be enough to keep the TLX relevant? Let’s take a good look and find out. 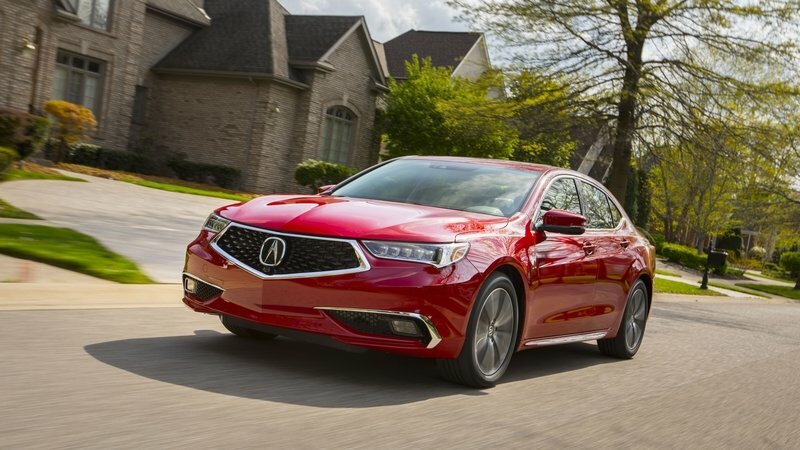 The Acura TLX competes in a rather strong segment with players like the Audi A4, BMW 3 Series, and Mercedes-Benz C-Class, not to mention relative newcomers like the Jaguar XE and Alfa Romeo Giulia. Needless to say, Acura has its work cut out. Curious to see how the TLX performs on familiar streets, I recently spent a week with a 2017 model fitted with the optional 3.5-liter V-6 and SH-AWD. This would technically be Acura’s hottest-performing TLX. So how’d it do? Well, I’ll get to that. But first, some backstory. The TLX hit the scene for the 2015 model year. It was designed to replace the compact TSX and slightly larger TL sedans. Acura essentially reorganized its sedan lineup, which now includes the compact, Civic-based ILX, the mid-size TLX, and the RLX luxury flagship. Not much has changed for the 2017 model year beyond a slight price increase. This means the car carries over with its standard 2.4-liter four-cylinder, eight-speed dual-clutch automatic, and front-wheel drive. Different option packages bring high-tech bits like active safety features and upgradeg leather seats to go the an ELS stereo system. My tester, which came fully kitted out with the V-6, AWD, the Technology Package and Advance Package, represented the cream of the TLX crop. Its $45,740 price tag actually sits mid-pack in relation to its competition, with the Audi and Alfa Romeo coming in slightly lower, while the Mercedes and BMW can be optioned to cost more than $5,000 more than the my loaded TLX tester. What’s that mean for Acura? The TLX represents a relative bargain. And, thanks to its 290-horsepower engine and torque-vectoring AWD system with rear-wheel steering, the Acura provides plenty of fun when driven hard, with a sure-footed grip when tooling around town. There’s more to the Acura TLX, so keep reading for the full driven review. The Acura TL and TSX were long in the tooth, very outdated and were in desperate need of replacement. 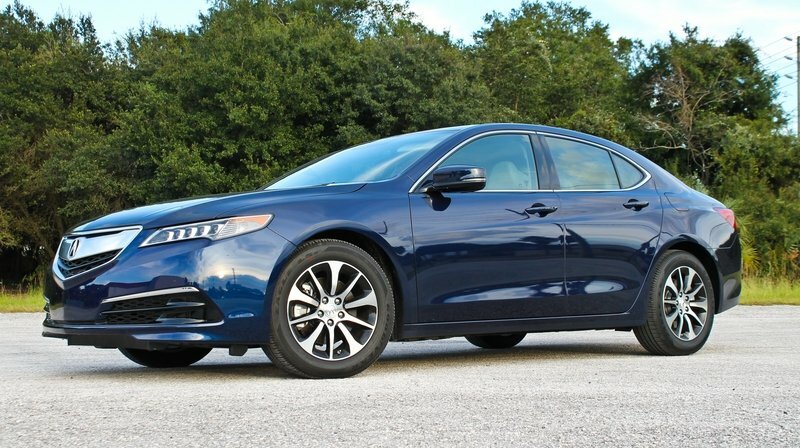 Acura recognized this need and answered it with the 2015 TLX, which is a sort-of replacement for both now-discontinued models. Slightly larger than the TSX and a little smaller than the unimpressive TL, the TLX finds itself in a crowded segment that includes perennial stalwarts like the BMW 3 Series, Lexus IS and the Audi A4. Acura has been working hard to upgrade its lineup in recent years. First came the introduction of the ILX, which I tested a few weeks ago, and now we have the TLX. I fell in love with the ILX, but I felt that it was screaming for a dual-clutch transmission. Fortunately, my TLX came with the same 2.4-liter engine as the ILX and had a dual-clutch transmission, so logic would say that it had to check nearly every box on my list. Read on to find out if my logic holds true or if the TLX failed to meet my expectations like the TL it replaces. Click past the jump to read my full review on the 2015 Acura TLX 2.4 with the Technology PAckage. To make a mark in the luxury sport sedan market, Acura will need to offer a pretty enticing product, but it looks like it’s on target with the TLX. So far, the response has been positive, as the car features some of the latest developments that the Japanese automaker has on tap. The TLX first appeared in dealerships over the summer, bringing with it a wide range of technology to choose from. Drivetrain options include a 2.4-liter inline-four mated to an eight-speed dual-clutch transmission, or 3.5-liter V-6 putting power down through a nine-speed automatic. Both come with Acura’s Precision All-Wheel Steer (P-AWS), while the V-6 model also offers Acura’s trademark Super-Handling All-Wheel-Drive (SH-AWD) system. 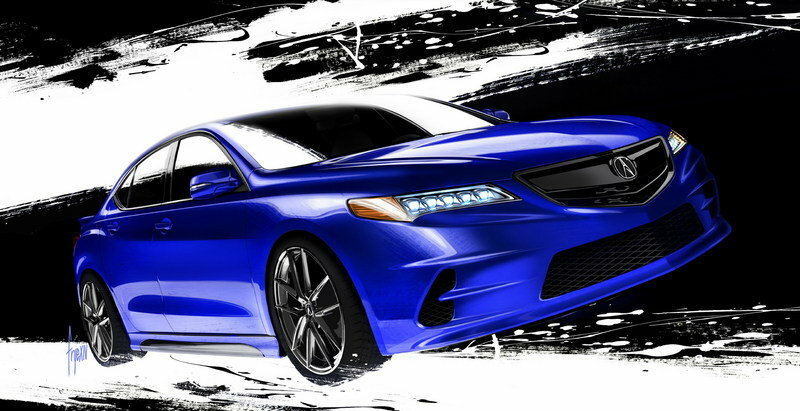 To help solidify the sporting image of it’s new sedan, Acura will make an appearance at SEMA with this very blue TLX customized by Galpin Auto Sports (of Pimp My Ride fame). The pimped TLX showcases what can be done to enhance both the look and performance of the sport sedan with mild modifications to the body, suspension, and brakes. 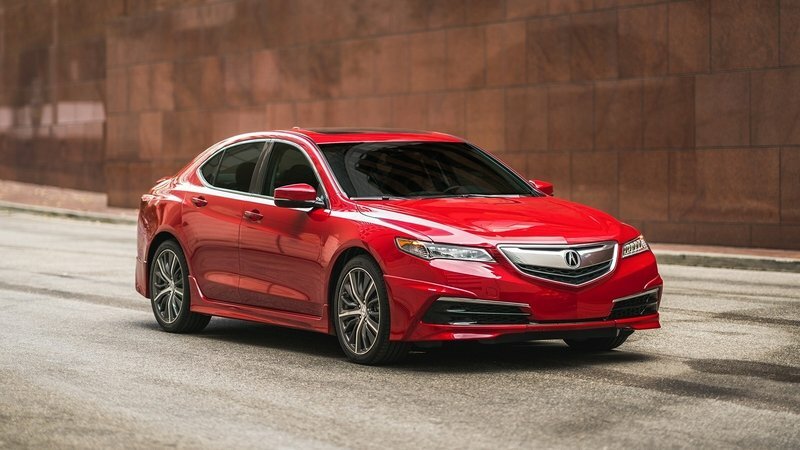 Click past the jump to read more about the Acura TLX By Galpin Auto Sports. Along with the 2015 TLX Prototype Acura also unveiled the TLX GT Race Car at the 2014 Detroit Auto Show. The new Acura racer will be raced in the Pirelli World Challenge Championship where it will face the likes of the Audi R8 LMS, Cadillac CTS-V, Chevrolet Corvette and many more. The new Acura TLX GT Race Car was developed by Honda Performance Development (HPD) and is offered with an impressive list of updates over the base TLX, including a new HPD-developed chassis and an aero kit, which includes a front lip spoiler, side skirts, front and rear bumpers and a huge rear wing, to keep the racer glued to the track. Under its hood, HPD took the base TLX’s direct-injected, V-6 engine and strapped on a pair of turbochargers to bump its power to racing levels. Also included is Acura’s Super-Handling All Wheel Drive (SH-AWD) system for optimal traction. 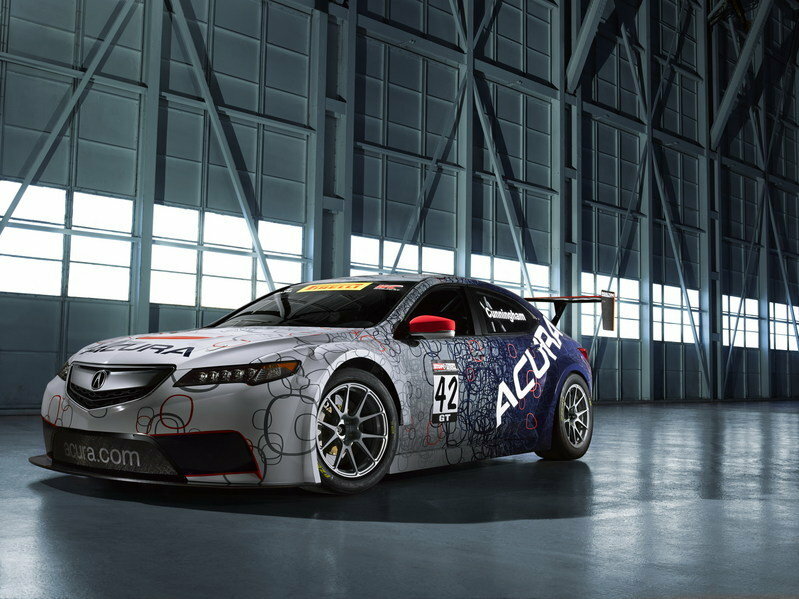 Click past the jump to read more about the 2015 Acura TLX GT Race Car. Acura is preparing to replace the lackluster TL with the new TLX performance luxury sedan. The first preview of the car — the TLX prototype — made its debut today at the 2014 Detroit Auto Show. The new TLX will feature a sportier look than the TL that it replaces, and it will be offered with two all-new engines that will deliver more power and improved fuel economy. Both engines will mate to an all-new advanced transmission that drives either two wheels or all four wheels. On top of the new drivetrain, Acura also announced that the model will carry a new design language, a roomier cabin than the one offered in the TL and lots of new technology. 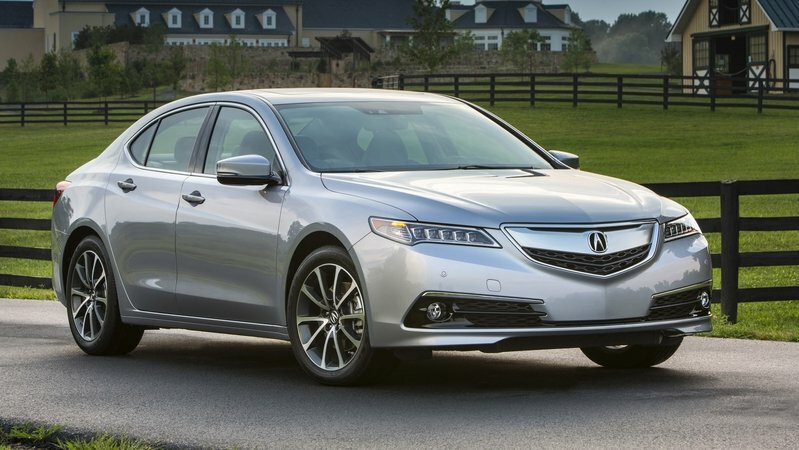 The new TLX will be put on sale in mid-2014, which also happens to be the same time that Acura will give the axe treatment to the unsuccessful TSX. This will leave company to motor on with just three sedans: ILX, TLX and RLX. 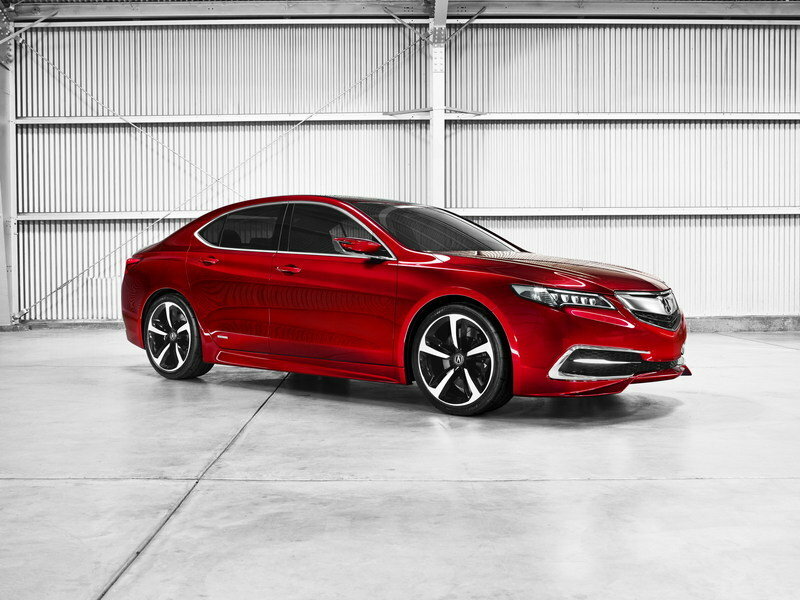 Click past the jump to read more about the 2015 Acura TLX Prototype.